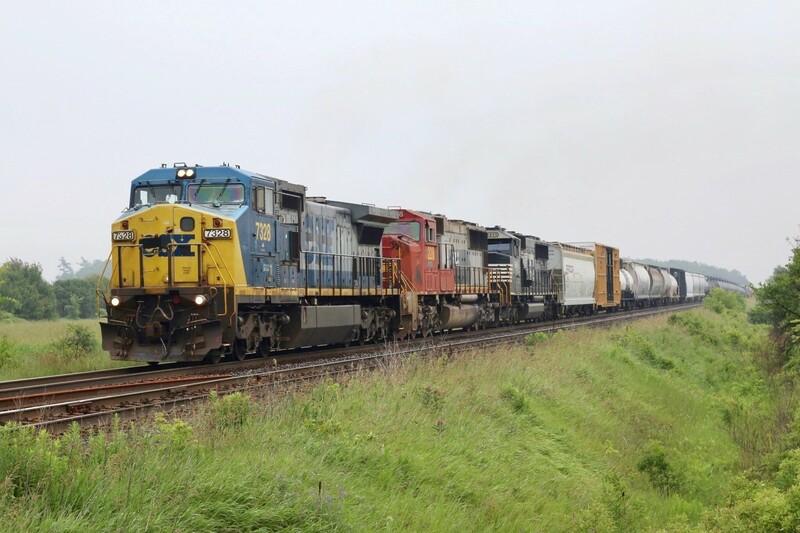 Railpictures.ca - Marcus W Stevens Photo: Another case of dreary day, cool power! CN train 384 is seen rolling on the south track at Tansley after a meet with 435. | Railpictures.ca – Canadian Railway Photography – photographie ferroviaire Canadienne. Caption: Another case of dreary day, cool power! CN train 384 is seen rolling on the south track at Tansley after a meet with 435. This photo exemplifies completely the comment you wrote a few posts ago. In less than 2 years, I think, we will be reminiscing the fun days of leased loco’s. Excellent photo Marcus!